Instead of going to a breeder or a pet store, adopt! If your family has decided to get a pet, start off the right way — adopt. Not only will adopting a pet save you loads of money, you will help make a dent in the millions of homeless animals just waiting to find a loving home. Even if you want a purebred, studies show that 30 percent of shelter animals are purebred. If you don’t see what you’re looking for at your local animal shelter, you can go online. Visit petfinder.com, and you can search for an animal based on breed, size, age and gender. Spaying (for females) or neutering (for males) will save you money in the long run. Neutering male dogs and cats lowers the risk of testicular tumors or prostate problems, both of which result in costly veterinary care. Spaying female dogs and cats greatly reduces their chances of developing mammary, ovarian, or uterine cancers, all of which are very expensive to treat. Spayed and neutered pets are also less likely to slip out of the house or yard to find mates. Each year, thousands of roaming animals in search of mates are hit by cars or are attacked by other animals. If they survive these accidents, the vet bills will pile up quickly. You can also check your local humane society for discounts on spaying and neutering. Keep your pet healthy and fit. Extra pounds on your pet will increase the likelihood of problems such as arthritis, diabetes, and cancer, all of which result in expensive veterinary care. Pets are overweight for the same reason many people are overweight — too many calories consumed and not enough exercise. Talk to your veterinarian about reducing the amount of food your pet consumes. You will also want to keep treats to a minimum. Of course you will need to increase exercise, for both your overweight dog and cat. Fire your expensive dog walker, and hire your neighbor’s child to walk your dog. Experts say that dogs should be walked twice a day, for a minimum of 30 minutes. Understandably, not everyone has time for this and that’s where dog walkers come in. But instead of hiring an expensive dog walker, see if there is a responsible teen in your neighborhood that can walk your dog instead. Not only will your dog get the much needed exercise, but the teen will as well. Plus it will teach him or her responsibility and love of animals. And best of all, the teen won’t charge as much as your professional dog walker! Next time you have your pet’s nails trimmed professionally, ask if you can watch. It’s a simple procedure once you see how it’s done, and you can start doing it yourself. You should also learn to brush your pet’s teeth to lengthen the time between expensive cleanings at the vet’s office. If you are ambitious, you can learn to groom your pet yourself, saving loads of money at the groomers. Keeping your cat inside and your dog on a leash will help keep them out of trouble outdoors. But many pets have accidents indoors as well. Make sure your home is pet-proofed and hazards are out of reach. For more information on dangers in the home, such as poisonous plants and foods, read a previous Pet Chat column on protecting your pet from household dangers. Save money at the vet. When it comes to buying food for your pet, the more you can buy in bulk, the more you save. If a big bag is too much for your dog or cat, consider splitting the bag up between other pet owners that feed the same food. You should also check your Sunday paper for discounts on pet products at places such as Pet Smart and Petco. If you aren’t already members at these stores, consider applying. As a member, you will be eligible for discounts when available. Keep pet sitting between friends. Instead of hiring a pet sitter when you’re out of town, trade services with another pet owner. If you don’t have a friend with a pet, you could exchange services. If you are an accountant, for example, offer to do your friend’s taxes in exchange for pet sitting services. Get creative! There are many different types of pet insurance on the market, and depending on your pet, it may be beneficial. When I managed the Michigan Humane Society in Detroit, the most popular insurance was Sheltercare. The pet owners who found this coverage most rewarding were those who had puppies or outdoor cats, as most plans cover accidents such as foreign body ingestion and motor vehicle accidents. To read a previous Pet Chat column on pet insurance click here. Start the New Year out right by keeping your pet healthy and happy while saving money! Yeller is a yellow Lab mix just turned nine, but has the good health and energy of a younger dog. During recent doggie daycare sessions at a volunteer’s home, we learned that he is calm, obedient, affectionate, and low-maintenance. Yeller is fully house-trained and is happy to enter his crate and sleep for a few hours until break time, wheN we have found him playing with the younger house pup or even playing by himself. He’s always up for a walk or a car ride to your appointments as he’s very social with adults and kids. If Yeller sounds like the perfect dog for you, stop by the Santa Barbara County Animal Shelter, 5473 Overpass Road, and complete a no-obligation adoption application to meet Yeller. 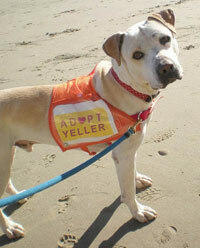 He could also benefit from a foster home as the noise and activity at the shelter cause Yeller to be anxious. Read more about Yeller and view photos and video at www.K-9PALS.org. Do you love dogs, but can’t have a pet? Volunteer at the shelter or for K-9 PALS or make a donation to K-9 PALS to help pay for the medical expenses and prescription foods for the shelter dogs. 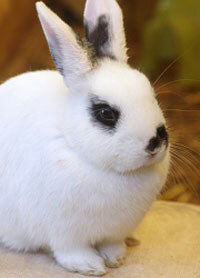 For details about volunteering at the County Animal Services, Santa Barbara Animal Shelter, call (805) 681-4397.